Shreenath Mining Works Private Limited is a well-reckoned Manufacturer, Exporter, Importer & Supplier of a qualitative assorted Minerals and Metal Scrap. We produce products like feldspar, quartz (Silica), Lime, China Clay for Ceramic tiles, sanitary ware, insulator & for other industries, in different grades as per their specific requirements. Backed by a well-equipped infrastructure and modern facilities, we have efficient enough to cater to the bulk orders in limited time frame with quality commitment. 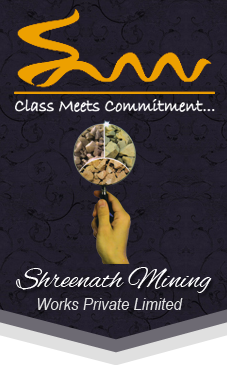 Shreenath Mining Works Private Limited came into existence in 2004 at Beawar, Rajasthan (India). From the past 10 years, the company is operating efficiently and is consistently flourishing, under the able guidance, leadership and support of a highly proficient team.